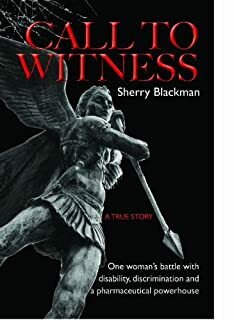 CALL TO WITNESS is the true story of one woman’s battle with disability, discrimination, and a leading pharmaceutical powerhouse. Paula Agins, joins Jane and Sherry on “My Stories…Chapters and Challenges” to share the story of her daughter Samantha Agins, who lost her life, trying to save another woman’s life. You will be touched and humbled by this moving story, and how Paula is determined to keep Samantha’s legacy alive, and share her story with others. Here is the podcast with guest Paula Agins. This entry was posted in Empowerment, The Book, The Conversation. Bookmark the permalink.